Hardback. New. 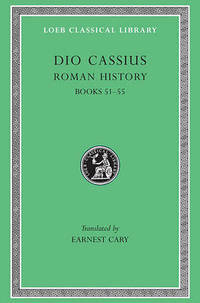 Dio Cassius (Cassius Dio), c. 150 235 CE, was born in Bithynia. Little of his &quot;Roman History&quot; survives, but missing portions are partly supplied from elsewhere and there are many excerpts. Dio s work is a vital source for the last years of the Roman republic and the first four Roman emperors.